A healthy protein filled bruschetta dinner! This is a really delicious bruschetta recipe that tastes just like what you’d get in a nice Italian restaurant. 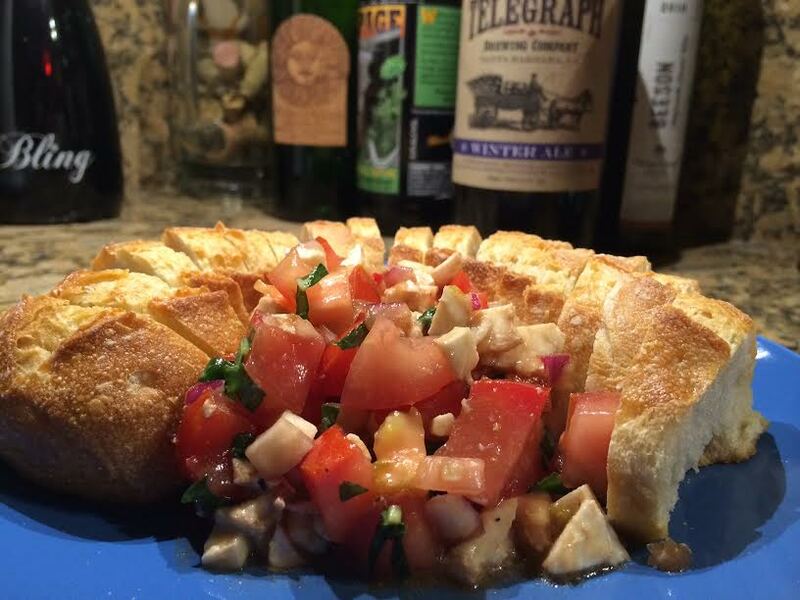 I really like bread, so I doubled the bruschetta recipe below to make a bruschetta appetizer with bread. 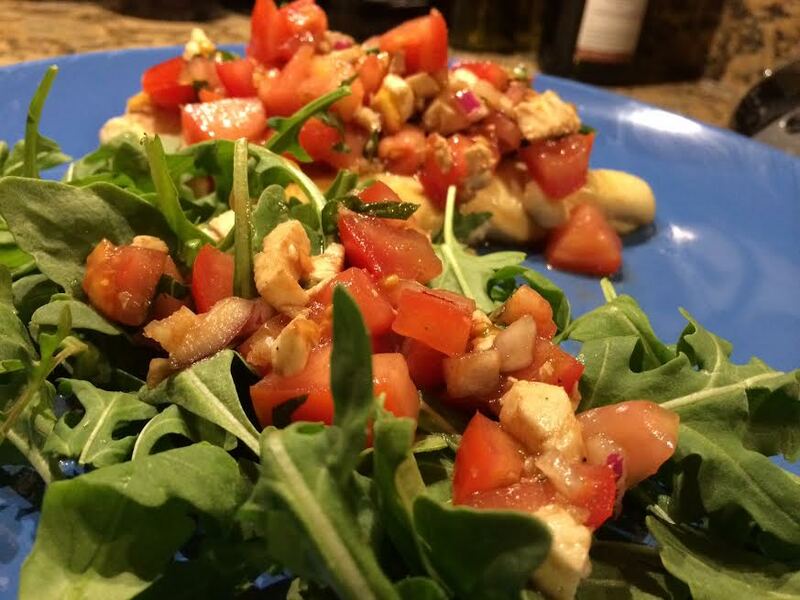 Outside of the bruschetta, this dish is super simple, being comprised of basically a grilled/broiled chicken breast and a side arugula salad (with more bruschetta on top, of course!). 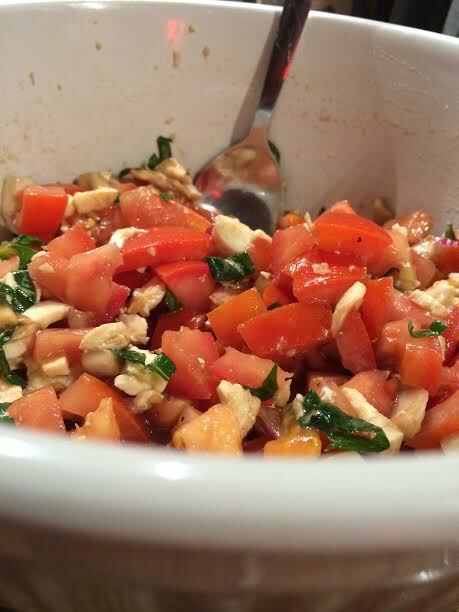 If you want to make an appetizer plus the chicken dinner for two, I would recommend doubling the bruschetta recipe, but if you want just the chicken + bruschetta + some for the salad for two, or just bruschetta, the recipe below is MORE than enough. Plus, it is very healthy, especially if you use part skim mozzarella! Thanks to Skinny Taste for the recipe! 1. Combine onion, olive oil, balsamic vinegar, salt and pepper. Set aside. 2. Chop tomatoes and place into a large bowl. 3. Combine with garlic, basil, and onion-balsamic mixture from step 1. Set aside to sit at least 10 minutes or as long as overnight. 4. Add in the mozzarella cheese when ready to serve. 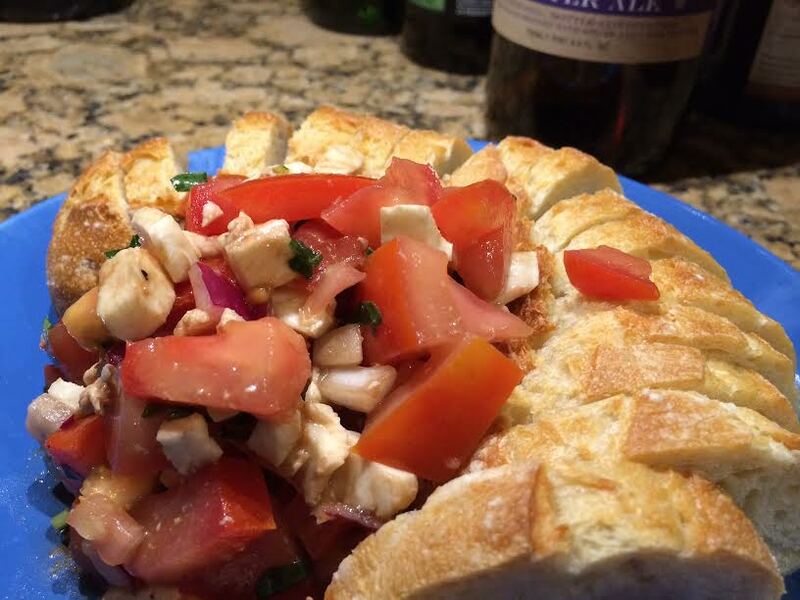 Your bruschetta is complete! 5. Season the chicken with salt and pepper. Grill or broil (or cook however you please, really!) the chicken and top with the bruschetta. 6. Add arugula and top with some bruschetta. Serve!